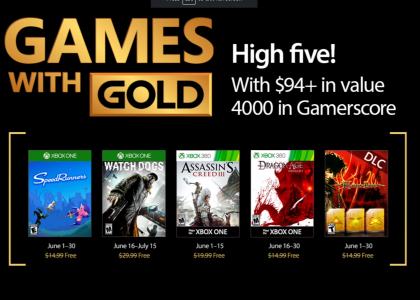 The Games with Gold for June have been revealed. 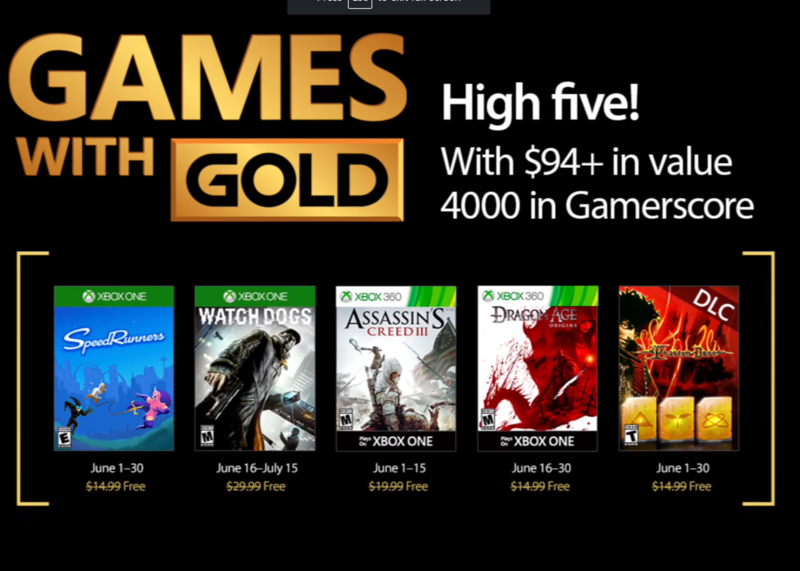 Next month, gamers with an Xbox Gold subscription will be able to download, SpeedRunners, Watch_Dogs, Assassin’s Creed III and Dragon Age: Origins. Starting June 1st, players will be able to download SpeedRunners. This zany four-player competitive speed runner is an exciting 2D side-scroller. Players will race across the levels as well as use weapons and traps to try and impede the other players’ progress. SpeedRunners is being developed by Double Dutch Games and will be published by TinyBuild games. Starting June 16th, Watch_Dogs from Ubisoft will be available. This thrilling crime story tells the tale of Aiden Pearce. Set in a futuristic Chicago, a computer program called ctOS, has connected with every available device. Sold with the promise to change how people lived their lives, instead, the program was used to predicatively analyze people and their actions. Super hacker, Aiden Pearce, takes back people’s privacy while combating the ctOS. Starting June 1st, players will be able to download Xbox 360’s Assassin’s Creed III via the backward compatibility program. Join the tomahawk-wielding Connor as he tries to unravel the mysteries surrounding his father. Experience the birth of America as players will travel from New York, to Boston and even Philadelphia. Dragon Age: Origins will be available starting on June 16th. From Bioware and EA Games, comes the fantasy adventure set in the Dragon Age universe. Join the fight against the Darkspawn in this role playing action adventure game.